There are plenty of controversial couples on TLC’s 90 Day Fiancé, but Chantel Everett and Pedro Jimeno may take the cake when it comes drama. Ever since we first met the duo in Season 4, their relationship has been tainted with deceit and turmoil. Despite the pair’s rocky start, they’ve managed to survive two seasons of the spinoff, 90 Day Fiancé: Happily Ever After? But are they still going strong in 2019? Scroll down for an update on the reality TV twosome. 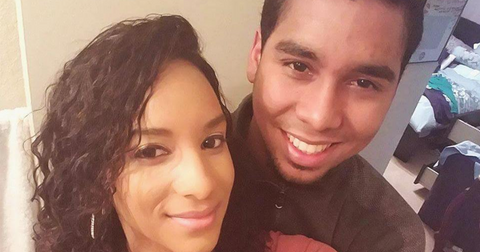 Are Pedro and Chantel from 90 Day Fiancé still together? The couple, who met while Chantel was on a trip to the Dominican Republic, is still married. In fact, they just scored their own spinoff on TLC titled The Family Chantel. The brunette beauty’s parents and siblings will feature prominently in the series as will Pedro’s mom and sister. After the news became public, Chantel thanked followers for their kind words on Instagram. “I have been getting so much support from my followers about the announcement of #thefamilychantel and I am so grateful,” she wrote. Chantel sparked split rumors in September with a cryptic social media post. Just seven months ago, fans thought the duo was headed for a divorce when Chantel shared a surprising quote on her Instagram stories. “Sometimes the hardest part of being a great catch is accepting not everyone’s hands are strong enough to hold you,” the text read. By October, the Georgia native was posing with her ring again — though she didn’t share another photo of her hubby until March of this year. Not convinced you want to watch this twosome spar on their own show? 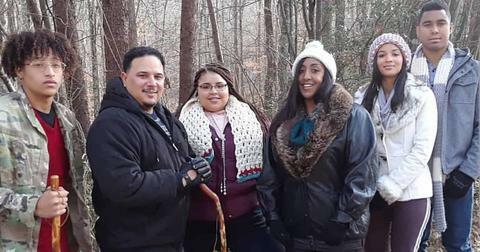 Tune in to TLC’s special, Pedro & Chantel: The Full Story, on April 15 at 8 p.m. ET for a sneak peek at what to expect when The Family Chantel premieres in July.